With Halloween approaching at the end of this month, I felt it appropriate to show some Halloween Nail Art, Polishes and Treats! 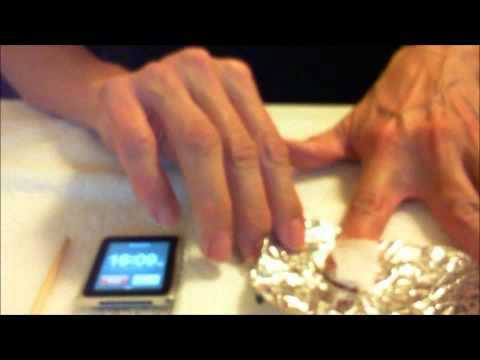 Since we all love great ideas for things to put on our nails, let's start with the polish. I think that the China Glaze Wicked and the Jessica Dark & Stormy collections speaks for themselves. The small bottle of Sally Girl nail polish U Glow Girl (only $.99 USD) is an under-rated piece of Halloween magic. It glows in the dark! So much fun! Now, what can we do with that polish... Create some great looking nails, and here are just a few! And for more great nail art ideas, check out my Pinterest page! 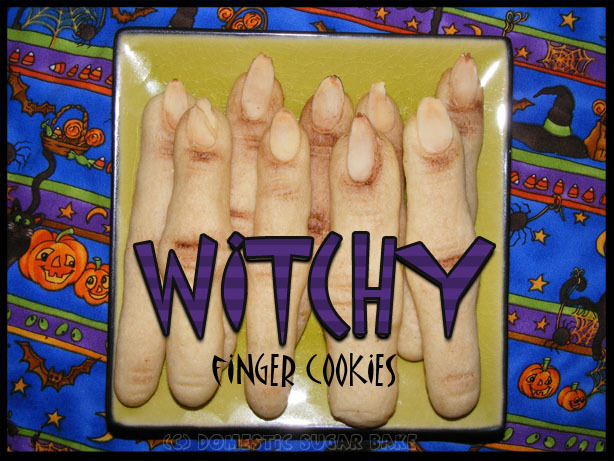 Lastly, the latest idea I've seen in Halloween treats are these funky finger cookies! Use sugar cookie dough rolled out pencil thin, score the lines in the top for the knuckles. 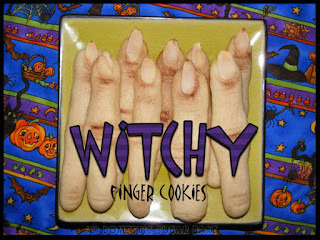 Use an almond shard for the nails and brush with a little cocoa powder to give these ghoul-ish fingers some contrast. Bake the cookies at the recommended temperature for the sugar cookie recipe you are using. 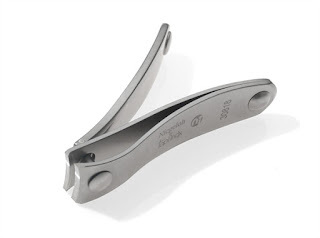 In my last post, I told you about an amazing TopInox® Stainless Steel Nail Clipper from Zamberg, that cuts so cleanly, and when used correctly will minimize micro-cracks in the nail plate that cause peeling nails. Of course, it is always best to clip the nail after the nail has been soaked for at least 2 minutes. I love that they have Bling too! so I can clean under my own nails easily. Glass nail files are gentle, yet effective way of filing the nails and preventing micro-tears between the flattened nail plates. Micro-cracks and micro-tears can be caused by aggressive filing with a coarse nail file. Also remember that filing the nails should always be from the side to the tip. As shown below. Artwork by Dawn Loberg, from "The Secret to Beautiful Natural Nails"
Also, angle your file as shown here. When ever you file, you will find small frays that stick out. Be certain to gently file or buff that off with a light touch with your file or a very fine nail file or buffer. A fray is an over-sized micro-tear. The less pressure with the file will be gentler to the natural nail and a nice glass file will do this beautifully. Thanks for stopping by. Hope you learned something new! 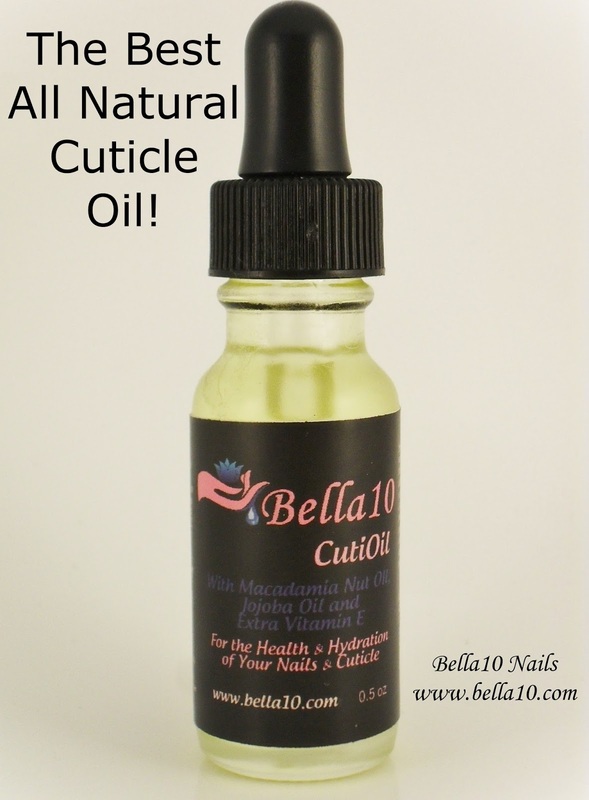 "Bella10 CutiOil is the Best Cuticle Oil Ever!" 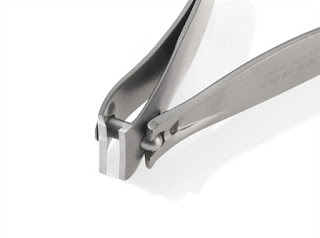 Are all nail clippers created equal? I’ve had proof that they are not!!! 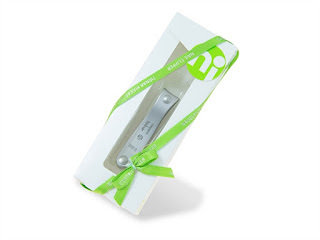 I recently received a nail clipper from Zamberg and it was amazing! We’ve all used them and we have all had a favorite but until now, I realized that my favorites have been replaced by one VERY exceptional nail clipper. What makes one nail clipper any better than the other, you ask? In a word, “PRECISION”! I’ve been doing nails a very long time and used many different brands of nail clippers throughout my 30+ years. None of the nail clippers I’ve used have ever come close to the TopInox® Stainless Steel Nail Clipper from Zamberg! 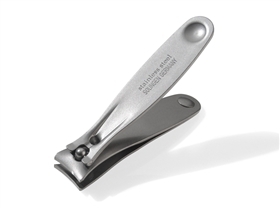 Most nail clippers , when clipping the nail, will create shattered areas in the tip of the nail. The duller the blade the more you need to soak the nail beforehand to prevent this from happening. But invariably, it does happen. This can cause the nails to peel, a common problem for most people. I found that the cutting action of this clipper to be superior to any of the other top name brands I have ever used. The more precision the cutting edge, the less likely it is that your nails will shatter and peel. One other nice feature of this nail clipper is it's ergonomic design. It fits so beautifully between your thumb and forefinger (and middle finger, if you are like me). It is so comfortable and smooth to use. You can feel the weight of it at your fingertips and the smooth action of the hinge and cutting edge. I have never felt it's equal! Look How Ergonomic It Is!! I won’t mislead you by telling you this nail clipper is cheap, it’s not your typical drug store nail clipper nor is it your typical beauty supply nail clipper. It’s not cheaply made either! Your initial purchase price will give you VALUE for your dollar. This nail clipper is built to last! I won’t need to purchase another one for a very, Very, VERY long time! I want to purchase it's larger sibling for toenails! There are copious amounts of pink nail polish colors to choose from from all the different nail care manufacturers. There are some great colors out there but you have to admire nail manufactures when they create nail polish collections to promote Breast Cancer Awareness and who also donate to finding a cure! and with their 31Days of Pink. Orly also has a Pretty in Pink, their 3 shade glitter collection that is oh so stunning! And one of the largest collections I've found recently is China Glaze's United in Purpose, twelve shades of Pink for every skin tone! But I have a tendency to go for the underdog as most people usually will, and when I say underdog I mean an Indie polish manufacturer! Kudos to the Indie polish company, Naild'it! Naild'it has created three shades that help create awareness and help to donate to a cause. Of course the pink is titled Breast Cancer Awarness, the blue is Make a Wish and the yellow is Disabled Veteran. 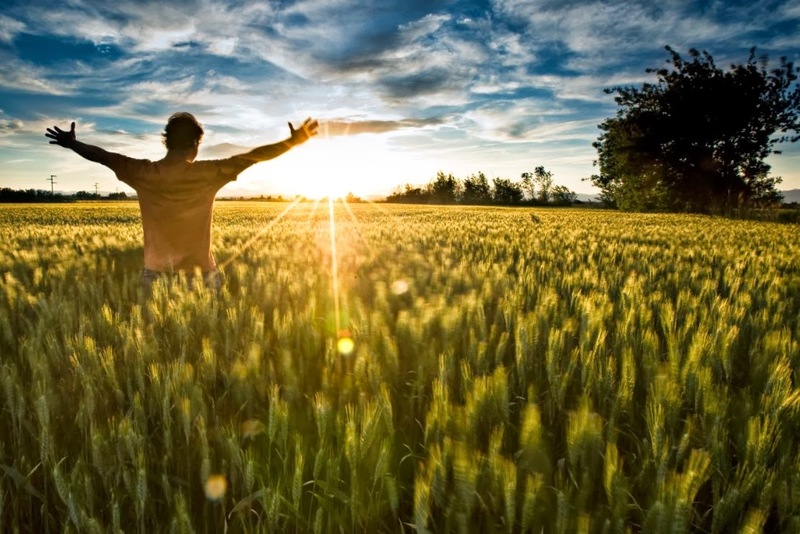 Thank you for sharing my hope for a future without Breast Cancer! Say "Yes To The Dress" And The Nails Too! When going out for a special event, we all try very hard to find that perfect outfit! But what about your nails? If you go and find a special dress, why not have a special manicure to accentuate your ensemble! You'll need some very classy nails to go with it! And these hit the mark beautifully!!! with the nail art shown here for this prom dress!! !It's perfect!!! Thank you for sharing in my passion for beautiful nails!! !